[EU-PS] The Dandy Lions Carnival Present the Festival of Love 1331! 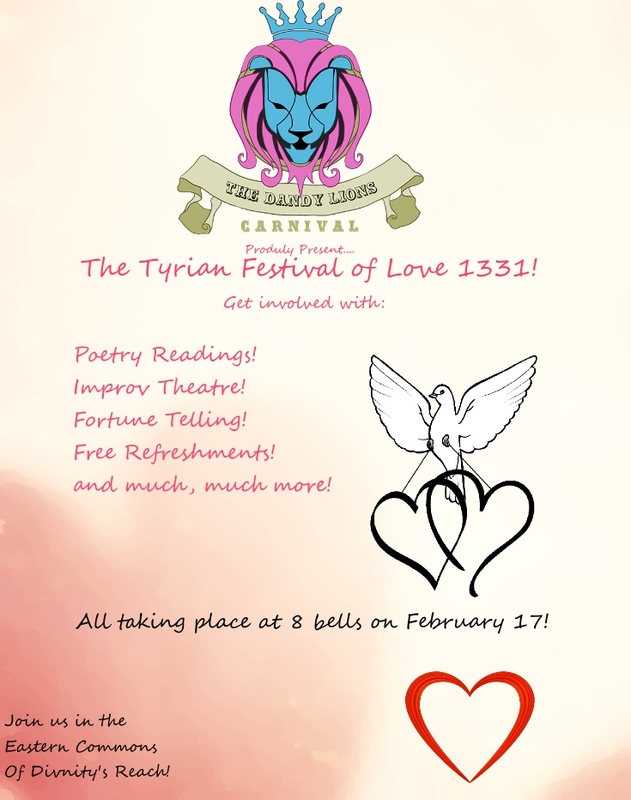 Forums » EU Events » [EU-PS] The Dandy Lions Carnival Present the Festival of Love 1331! Yes i'm well aware the poster from two years ago was better. Greetings, ladies, gentlemen, lovers, lonely hearts and all! Indeed we will be running a festival of excitement in the Eastern Commons of Divinity's Reach on February 17th at 8pm! We'll be sat up by the carnival area offering celebrations of love and joy to all. If you have nobody to come with, come anyway and we may be able to help you! We also will be running stage performances, inviting You , yes you! To take part in some open theatre and read poetry along with some of our own! Prizes for taking part will be given out aside from that warm sense of joy you'll feel after taking part. We promise you that desire to throw up is not nerves, but joy. Do also feel free to take a free kiss from the kissing booth, have the fortunes of your relationship and yourself read in different ways by talented practitioners from around the world and generally have a good time among friends. Because love is not just about that special someone! Location is below and shard information will come out on the night! We hope to see you there, and if you have ideas or want to get involved running the event itself, message me here, or in-game at TCGonBikes.6812 OR Flippystuff.8532! Reminder as it's actual Valentines! This is on The upcoming Saturday at 8pm! Shard info will be posted just prior! Hello lovers, singles and shakers! 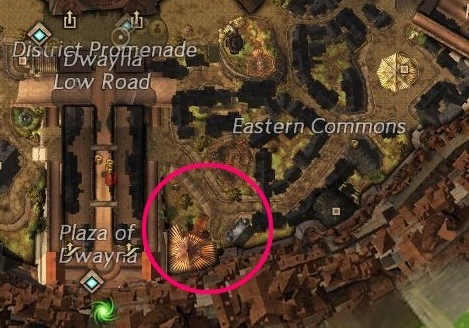 This will begin in approximately 2 hours from this post in the Eastern Commons of Divinity's Reach! IP for the event is 18.195.178.220:0! Please feel free to message me at the listed accounts for a taxi!